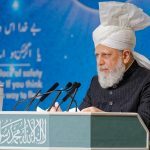 Hazrat Mirza Masroor Ahmad says UK authorities must ensure religious hatred and sectarianism is not allowed to spread to the UK. 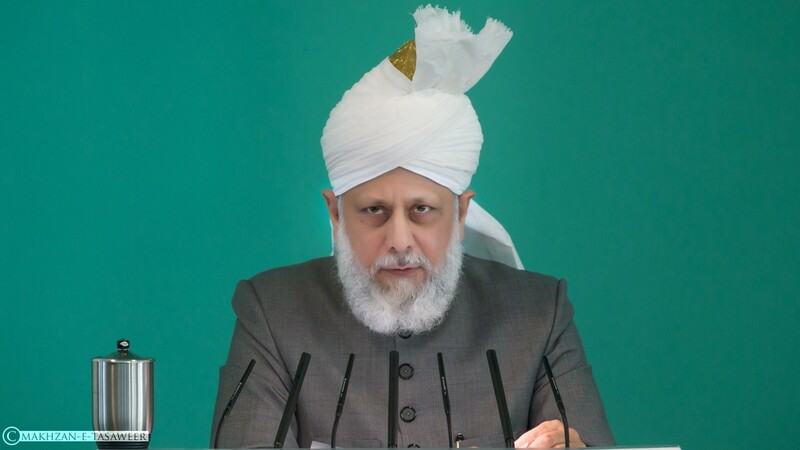 The World Head of the Ahmadiyya Muslim Community, the Fifth Khalifa (Caliph), His Holiness, Hazrat Mirza Masroor Ahmad paid tribute to an Ahmadi Muslim man martyred in Glasgow during his weekly Friday Sermon delivered at the Baitul Futuh Mosque in London on 1 April 2016. His Holiness made the comments following the murder of Asad Shah, 40, who was killed outside his shop in Glasgow in a faith-based attack on Thursday, 24 March 2016. Mr Shah was an active member of the Ahmadiyya Muslim Community and strived to live his life peacefully and to spread Islam’s true teachings of humanity. Hazrat Mirza Masroor Ahmad led Mr Shah’s funeral in absentia after the Friday Prayers. Whilst hundreds of Ahmadi Muslims have been martyred in Pakistan and elsewhere, this is the first time that an Ahmadi Muslim has lost their life in a faith based attack in the United Kingdom. It sets an extremely dangerous precedent and so the Ahmadiyya Muslim Community urges the Government and law enforcement agencies to take all possible measures to root out all forms of religious hatred, intolerance and sectarianism. It is the firm belief of the Ahmadiyya Muslim Community that all people should be able to peacefully practice their faith without fear of persecution or violence.